Uttan, an untouched coastal space in the heart of Mumbai, is a great getaway from the hustle of the city. I’ve chosen to live here despite the long commute because Uttan is a calm, pleasant area with fresh air. I can smell the ocean as well as the nearby woods. To all of you who would want some peace and calm, my suggestions would be to drive down and give Uttan the chance it deserves. Just a few kilometres away from Uttan Village is Bhatia Bundar (Bundar means beach in Marathi). For a lot of people, the highlight of this beach is a shrine which attracts thousands of devotees during the pilgrimage season. But for me, during off-season this is a quiet spot to read, listen to music, or even pick up an easel and paint. It’s quiet, serene and clean: nothing like a Mumbai beach. How To Get There: Take an auto or cab after taking the Western Line train into Uttan. Uttan is known for its seafood. But here’s the insider scoop: check out Joan’s Garden Cafe, a home-kitchen in the heart of the village, which is launching in August. Joan’s Garden Café will serve up authentic East Indian cuisine, like fish curry and rice, vindaloo, sorpatel and hand-breads. The food is fresh and authentic. If you’re not in the mood for East Indian, do what I do and check out the fresh seafood served with bhakaris, which are flat rice breads. I love to visit the island Uttan Vashi by hiking a free ride with one of the local fishermen, who are very friendly and will give you a crash course on the area’s history. It takes around half an hour to get there, and the island is small and completely uninhabited, but totally worth it. The fishing community has an annual tradition wherein they sail to the island, pray, and then enjoy a picnic and swim with their families. Visiting this island is somehow homey and adventurous at the same time. If you’ve ever wanted to know what it’s like to be the only human on an island, head here. How To Get There: Take an auto to Gorai Beach and then a boat with the local fishermen. I grew up here with my family, and as children a trek was always a welcome respite from being smothered with food by my grandmother and mother. We love climbing the Dongri Hill to reach the very peak where a fort used to lie, as well as cooling off with a swim once we’re back on solid ground. It’s a great location to cycle. The climb up is steep, but the view is worth it. How To Get There: Take Road 2 from the municipal market till you see the hill. With two water parks nearby, Pali Beach Resort and Essel World, Uttan is a great pitstop for a family with kids. 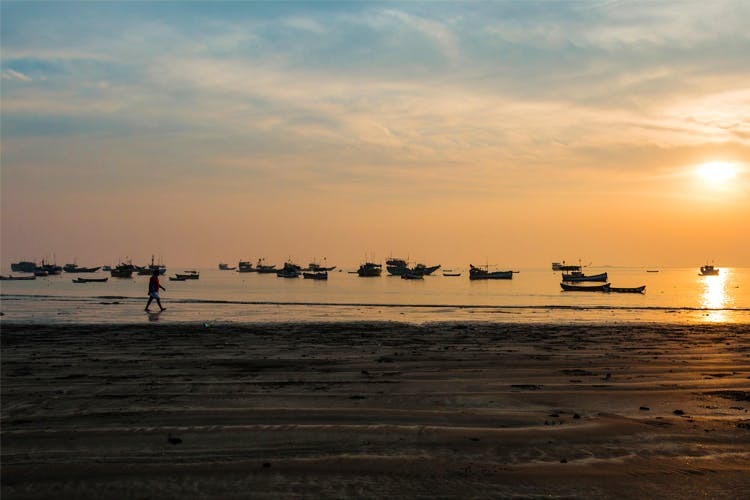 The Uttan coastline is also very well-connected to Gorai Beach, which makes it a fun getaway for friends as well.